You have an employee who has developed an attendance issue and you are not sure what to do about it. An employee is refusing to perform a new task that you asked him to do. He says you never mentioned that when he was hired and it’s not part of his job. You developed a new policy for company property. Your employee refuses to sign the agreement. An employee has developed a body odor problem and the other employees are complaining. An employee has been called for jury duty. He says you have to pay him for this time. An employee says you have not been paying him overtime correctly. An employee says you promised him a raise after the “probationary” period. An employee quit last week and now he’s filing for unemployment. An employee says she is being “harassed” by her supervisor. An employee says she needs time off for a medical procedure. The employee says she is entitled to paid leave. An employee says she is being paid less than her male counterparts for the same job. An employee says he has the right to use the company internet during non-work time. 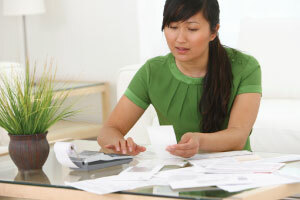 A mis-step in handling any of these issues can cost you time and money, not to mention the aggravation. R.C. Rulka Consulting can help! All businesses require HR expertise, but many do not have the need or the resources to employ a full time or even a part-time HR professional. Outsourcing HR can be a great solution that allows for HR expertise on an “as needed” basis while freeing up the company to concentrate on their core business. 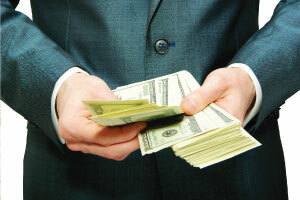 The company pays only for what is required, and there are no long-term obligations. Rulka HR Consulting offers professional Human Resources and Training services designed to help smaller companies to grow and succeed. We are based in Goodyear, Arizona and serve the Phoenix area. We help our clients with virtually every aspect of Human Resources, including setting up an HR Department, auditing the HR function, creating employee files and records, writing job descriptions, writing interview questions, creating new hire paperwork including offer letters, helping with benefit open enrollment, creating policies and procedures and writing/updating employee handbooks, legal compliance (FLSA, FCRA, FMLA, and so on through the alphabet soup of HR law), wage surveys, unemployment assistance, supervisor training, harassment/bullying training, help with discipline action and much more. R. C. Rulka Human Resources Consulting exists to serve the HR needs of small to mid-size firms. We offer professional Phoenix HR Consulting and Training services designed to help individuals and companies to grow and succeed. We are based in Goodyear, Arizona and serve the Phoenix area. As business professionals, we partner with small to mid-size companies to assess the situation, uncover areas for improvement, and develop appropriate solutions. Whether the HR Department is established or just starting up, a review of HR forms, policies, and procedures is a smart way to ensure legal compliance. Employee relations issues can be time-consuming and aggravating for all concerned. We have years of experience with the many aspects. 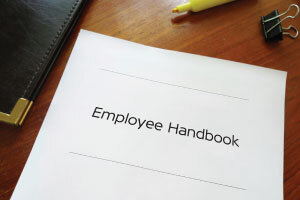 Is your employee handbook up to date? Handbooks are not static documents. At a minimum, they should be reviewed and updated as needed at least once every 2 years. We offer professional Training services designed to help individuals and companies to grow and succeed. This seminar is designed to help business managers, supervisors, team leaders, and others learn and apply the requirements of the major employment laws. This workshop uses video programs to help employees understand what harassment is and what it is not, as well as what they can do to prevent and deal with harassment at work.